Governor Jay Inslee announced his agreement with the Federal Department of Interior's approval of the Spokane Tribe's Economic Project (STEP), a mixed-use development on the West Plains to include a hotel, casino, retail and more. The Governor's decision was the final action needed to move forward with the entertainment and retail project. Governor Inslee said he carefully reviewed the record and determined that STEP would create jobs and enhance tribal public services on the Spokane Reservation. With the Governor's concurrence, STEP can move forward after more than a decade of process and review. 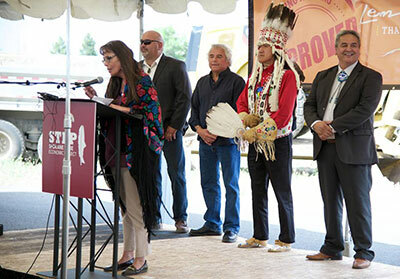 STEP's final approval means construction will begin for the new entertainment destination on the Spokane Tribe's ancestral lands, and investing a total of $400 million in Spokane County over the course of the phased project. More than 15,000 people sent postcards to Governor Inslee supporting STEP including support from the City of Airway Heights, members of the Spokane City Council, local business leaders, and Tribes throughout the State of Washington. Pictured is the Spokane Tribal Business Council. At the podium Carol Evans, chair; left to right, Council members Danny Kieffer, Glen Ford, David Browneagle, and Greg Abrahamson, Secretary. For more information on the project, visit StepSpokane.com. All the more reason to scream for Ice Cream! Since the former Baskin and Robbins ice cream shop at 13th and Grand closed a few months ago, the lower south hill has been screaming that there's NO ICE CREAM. Well now there is, and it's better than ever! 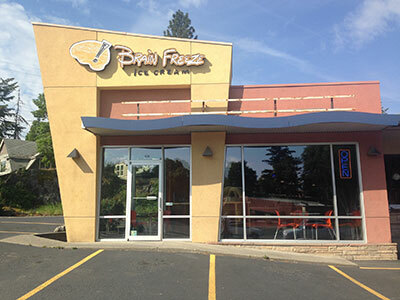 Brain Freeze Creamery has opened their second store in that location. The new store, located at 1230 S. Grand Blvd. across from Lindaman's, is similar to the Kendall Yards store at 1238 W. Summit Parkway, which they opened in May of 2014. In addition to some of the best ice cream on the planet (my fav is Molasses Cookie!) the shop will also serve coffee, espresso drinks, breakfast and lunch sandwiches and other sweet items. Hours are 7am to 10pm Monday through Thursday, 7am to 11pm Friday, 8am to 11pm Saturday and 8am to 10pm Sunday. For more information, visit them at brainfreezecreamery.com, on facebook or call 509-309-3830. Baker Construction and development has announced a Groundbreaking Ceremony on Wednesday June 15 from 11:30am- 12:30pm for Cheney-based company, Tainio Technology and Technique. Tainio's new headquarters will consist of a $$1.6 million, 15,000 square-foot single level wood framed building consisting of offices, laboratories, warehousing, and research/production facilities. Tainio is an industry pioneer in sustainable, biological agriculture and farm products for over 30 years. Super Lawyers Magazine has announced their list of the top attorneys in Washington and named the following Winston & Cashatt principals as 2016 Super Lawyers: C. Matt Andersen, Kevin J. Curtis and Carl E. Hueber. In addition, Timothy R. Fischer, David P. Gardner, Collette C. Leland and Elizabeth A. Tellessen were named as Rising Stars. For the Mountain States region, Kenneth B. Howard was named a Super Lawyer. Super Lawyers, is a research-driven, peer-influenced rating service of outstanding lawyers who have attained a high degree of peer recognition and professional achievement. 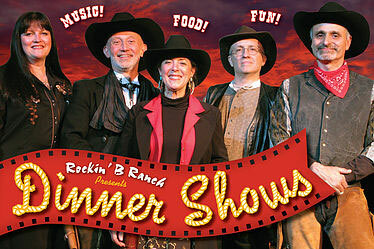 The Rockin' B Ranch will open for another great season of Cowboy Supper Shows on Friday, June 17. This will be their 22nd Season. The Riders of the Rockin' B are settling in for the summer and will be offering a supper show on selected weekends through October. Rockin' B Ranch is located south of the Spokane River at the Washington-Idaho state line-exit #299 off I-90. For tickets and more information, visit www.RockinBRanch.com or call 509-891-9016. 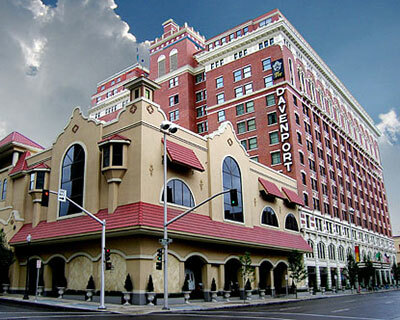 The Historic Davenport Hotel has been recognized by readers of Successful Meetings as a 2016 Pinnacle Award winner in the category of Best Meetings Industry Boutique Property in the Western region of the United States. Presented annually by Northstar Meeting Group's Successful Meetings brand, the Pinnacle Awards are voted on by decision makers for planning meetings, events, conferences and incentive programs in the US and worldwide. For over 30 years, the Pinnacle Awards have earned a reputation as the most credible and valued symbol of excellence among meeting professionals and travel suppliers alike. 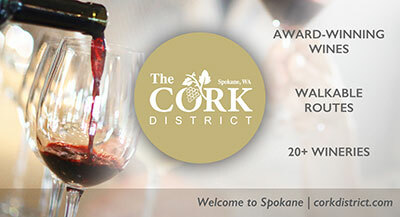 Adding significance to this year's awards are new categories honoring the best hotel decor/design, on-site support staff, and food & beverage service. All winners will be listed in Successful Meetings' annual Pinnacle Registry, published in August 2016 and online. Urbanna Natural Salon Spa & Wine, in its new location at 104 S. Division Street in the historic Inland Empire Biscuit Company Building, will have a Grand Opening event this Saturday, June 18 from 5:30-8pm. Their recent move took place earlier this month, and the new location offers services on a single floor, with more than 3,500 additional square feet of space. A new esthetics division has been added to Urbanna's line of services. At the grand opening event, there will be prizes, tours, wine, snacks and more to help celebrate their new location. Urbanna Natural Salon Spa & Wine is open Monday through Saturday from 9am to 8pm. 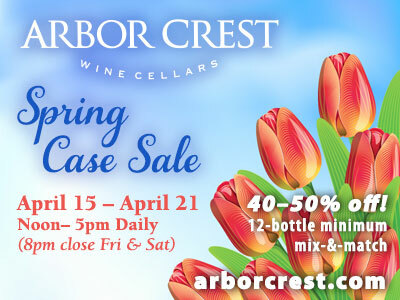 For more information, visit www.urbannaspa.com or call 509-747-7076. Long-time St. Luke's partners and physiatrists, Keith Mackenzie, MD, PS and Mark Varga, MD of Rehabilitation Associates, recently joined St. Luke's Physiatry Practice, bringing their practice and patients under St. Luke's Rehabilitation Institute for continued care in outpatient and inpatient settings. Physiatry physicians treat a wide variety of medical conditions affecting the brain, spinal cord, nerves, bones, joints, ligaments, muscles, and tendons. Dr. Keith Mackenzie has been practicing rehabilitation for 37 years in Spokane. He received his medical education at the University of Washington and completed a family medicine residency before completing his physical medicine and rehabilitation (PM&R) residency at the University of Washington. Dr. Mark Varga began his medical training at George Washington University in Washington D.C. and went on to gain vast Naval Aviation medical experience in primary care, emergency medicine and sports medicine. Dr. Varga completed residency in PM&R at Frazier Rehab Institute through the University of Louisville. He has been an admitting physician at St. Luke's for 17 years. St. Luke's Physiatry Practice has grown to 11 physiatrists and three physician assistants, expanding patient access and bringing additional knowledge and services in physical medicine and rehabilitation. 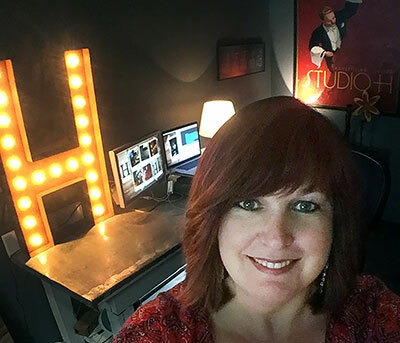 STUDIO H Creative, Hara Alison's graphic design firm specializing in distinctive brands, powerful print and engaging WordPress websites, has a new studio space within The Emerge Collective at 208 N 4th Street in beautiful downtown Coeur d'Alene. STUDIO H returns to Coeur d'Alene after having an office there in 2001. For more information about this creative graphic design company, go to studioh-creative.com. Tanya Goodall Smith is the owner and lead photographer at WorkStory Corporate Photography, headquartered in Liberty Lake. She graduated with a degree in Graphic Design from The Fashion Institute of Design and Merchandising in 2004. 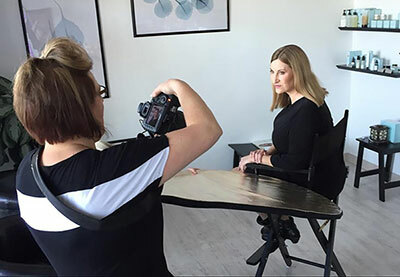 After a decade-long career as a graphic designer and art director, Tanya walked away from it all to pursue her lifelong love of photography. She has spent the last 15 years perfecting her digital photography skills and style through workshops, college courses and hours of working experience. She's coming back to her creative agency roots, offering what she wished she had at her disposal for clients: an alternative to generic stock photography. Tanya's experience is broad and her ability to create imagery appropriate for any brand is considered her strong point. In addition to her past work as a designer for brands like HP, GUESS and Universal Studios Hollywood, Tanya is a talented writer and educator at slrlounge.com and layersmagazine.com, the official magazine for Adobe software. WorkStory Corporate Photography is located at 23403 E Mission Ave, Suite 100C, in Liberty Lake. The phone number is 509-255-3087 and the website is workstoryphotography.com. The West Plains Chamber's June Membership Breakfast, June 22 from 7:30 to 9am, features Sam Song, the former Assistant Director for Riverfront Park and the Chair of the award-winning, inaugural Washington State Chinese Lantern Festival. The meeting will be at the Shriners' Event Center, 7217 W. Westbow Blvd. Sam will tell about the amazing journey that brought him from China to Spokane, and he will also share his excitement and plans for this fall's upcoming Lantern Festival. For more information and reservations contact the West Plains Chamber at 509-747-8480 or westplainschamber.org. "Life is not about finding yourself, it's about creating yourself."